The Detroit Board of Water Commissioners, an unlikely source for divine inspiration, has handed faith leaders in Detroit a theme for Sunday’s sermon: The Lord works in mysterious ways. The threat of sharply higher bills for stormwater drainage, a fate that looked inevitable just a few weeks ago, washed away during a meeting Wednesday, when the board approved a new plan that lowers the rate escalation and spreads it out over five years, rather than imposing it after one year. What had promised to be a new fee of $750 per impervious surface acre, something many Detroit churches have in abundance, mostly in the form of roofs and parking lots, was reduced to $125, starting in July 2018. The fee will gradually increase to $677 per acre by 2022. Property owners can lower their bills with so-called green infrastructure to better contain stormwater runoff. The decision comes just weeks after 100 faith leaders endorsed Mayor Mike Duggan, but city officials said the change followed months of negotiations and efforts to make the process more equitable. The longer timeline will give churches, many of which already struggle with finances, more time to budget and install the green infrastructure that will mitigate the increases, said Gary Brown, director of the city’s Department of Water and Sewerage. 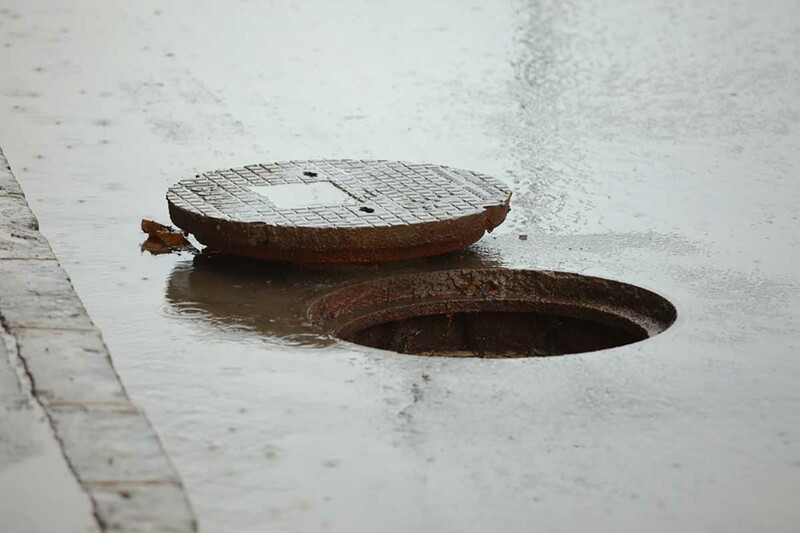 As Bridge reported in February, the drainage charge is assessed to treat water that runs off water-shedding surfaces and into the city’s combined sewers, at an annual cost of $150 million. In the past, such charges were assessed based on the size of the water meter serving individual properties, assuming that larger meters indicated larger structures. But with the advent of satellite photography, water utilities can see much more clearly which properties are shedding water, and some of them didn’t even have water accounts to bill – parking lots being a prime example. Detroit began converting to impervious-acreage billing around 2008. But the process has been slow, requiring coordination with the city assessor’s office, among other complications. Religious leaders got word of their higher bills – some climbing by hundreds of dollars a month, some by thousands – early this year, and immediately began pushing back. The original compromise was to delay the higher billing until February 2018, but many church leaders said that wasn’t nearly enough time. The Rev. Tyson Kelley, an Inkster pastor and member of the Detroit Regional Interfaith Voice for Equity, or DRIVE, said in February he wanted a gesture that indicated city officials cared at least as much for its religious community as they do the central business district. The group had predicted as many as 450 churches might have to close under the pressure of the new bills. “It’s better. It’s better,” Kelley said this week. The city is offering professional and financial support to help congregations convert unused parking spaces to swales, rain gardens and other water-gathering landscaping that will add more credits to their bills. The extended timeline offers ample opportunities to install such infrastructure, Kelley said. He said the new timelines, though, should build goodwill and demonstrate that the city is dedicated to fairness. They shouldn't worry for very long. After the "deal" made by the GLWA to bail out Flint's KWA bonds, I'm sure that they will find a way to shift more of the cost to those of us still paying our bills.